Suriya's "Masss" has opened to positive reviews from audience and critics. They have declared that it is a pure commercial entertainer. 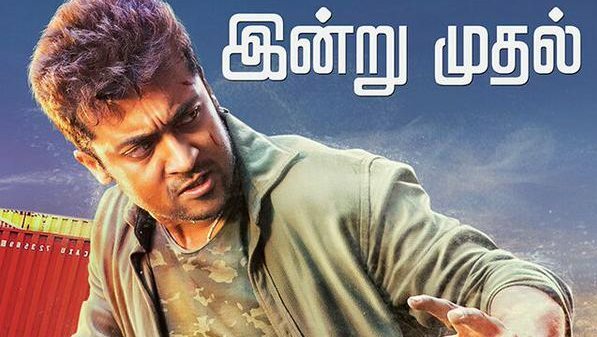 Suriya starrer Massu Engira Masilamani hit the screens on Friday. Directed by Venkat Prabhu, the movie has managed a bumper opening and managed good reviews. Nayanthara and Pranitha plays heroines. The cast also includes Premgiamaran, Parthiban and Jai.Music is by Yuvanshankar Raja. Produced by Studio Green, it is a feel-good movie which falls under horror-comedy film. Suriya sports two looks in the movie. Read complete ctitics reviews and rating in TamilStudios.